You are at:Home»News»SHOW LIVE: PMW Expo Day One a great success! SHOW LIVE: PMW Expo Day One a great success! Building on the strong reputation it has established, the Professional MotorSport World Expo returns to the Koln Messe once again, with an incredibly diverse range of workshops in both German and English, and more than 200 exhibitors. Open exclusively to motorsport industry professionals, Professional MotorSport World Expo will be running for the next three days (Wednesday 15 November through to Friday 17 November at 17:00 hrs). 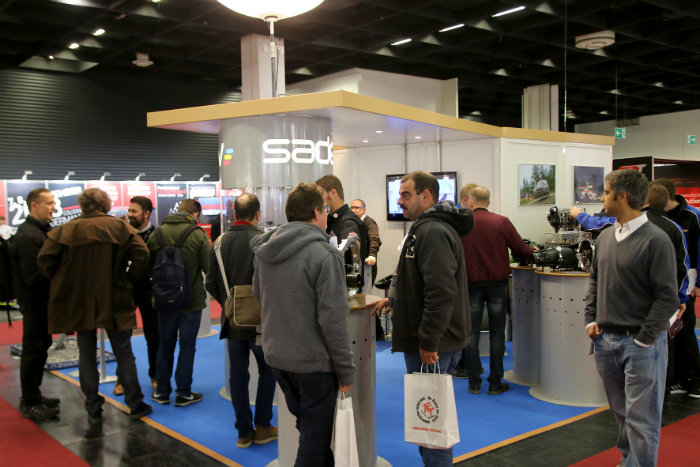 As always at the Expo, there are also a comprehensive range of workshop programs, with papers and discussion on topics as diverse as aerodynamic optimization to the next-generation of electronic engine management and anti-lag, to extracting the most from braking systems. And of course, this evening is set to host the PMW Expo Awards. Once again the biggest, best and most promising names in motorsport are celebrated and honoured at a star-studded ceremony in Cologne. For a short list of nominations and categories, click here.